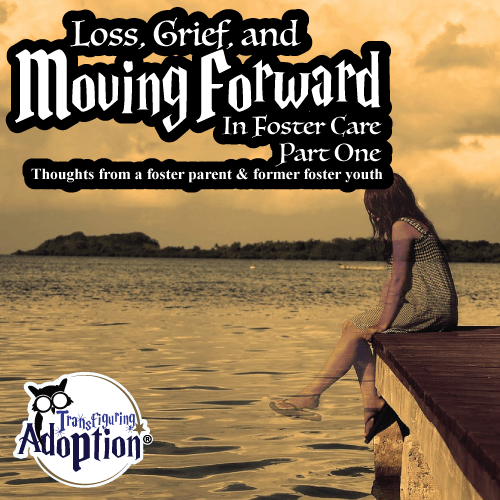 Despite all of us foster parents knowing the logistics of how fostering works, it can be difficult to navigate the feelings associated with the loss of a placement when they move on from our homes. Regardless of the situation, as sometimes children do get to leave our care for what is their fairy tale storybook ending, it is hard to let them go when they have become embedded in our families. Even if the opportunity to care for them was brief, their stories become a part of ours, and we can’t help but feel a twinge of sadness, at the very least, when they begin their next page or chapter without us. 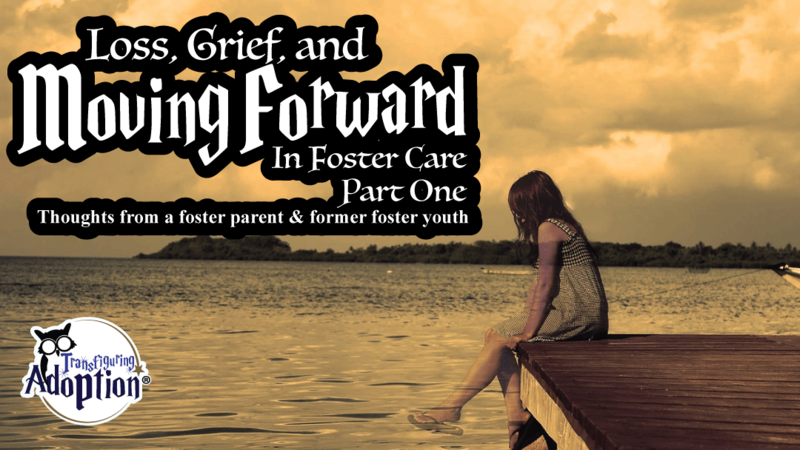 These feelings can be made worse in instances where the foster family is not in concordance with the re-homing of a child and/or the situation involves a lack of communication, considerate planning, and best practices. Unfortunately the foster care system, though hopeful, is struggling in numerous ways, and my family suffered the loss of a child who we intended to adopt. In our hearts this child IS our son, and the situation has been one of the most painful experiences that we have endured. However, pain can be a rather cleansing thing in ways as it makes clearer the journey that we are navigating. All families are different thus, require different approaches and supports during difficult times but, for what it’s worth, this is how our family has found some solace in our ongoing endeavor to find peace with our situation. Though this loss is one of great magnitude for our family I feel like three topics are applicable regardless of the intensity of feelings that correspond to the loss of a placement. I will be addressing these in a three part blog series. It is important to be there for the children whom remain in your care and remember that they too are experiencing separation, loss, and grief which they all do differently. Though thus far our family has been unsuccessful in these attempts as it would appear inconvenient and time consuming for our former LCPA and DSS, we strongly feel that the opportunity to provide reassurance to all children involved or the ability to maintain healthy family relationships would be invaluable. For example (though it may not be the best one): Given Stephen’s (my husband) work schedule, he is not always home for dinner and because of mom life, it is typical for me to still be cooking, serving, feeding the baby, cleaning up, and eating my dinner out of the pans while Potato and Our Big Guy dined together at the table. However, one evening when Potato dined alone, he began to cry as he stared at his Bub’s vacant spot at the dinner table and stuffed spoonfuls of mac & cheese into his mouth between sorrowful exclamations of “Bub no sit!,” “Bub all gone!,” and “mine!” After that we decided that perhaps it would not be such an awful thing to eat in front of the tv as we adjusted to our new normal. While it would be easy, especially at Potato’s young age, to distract our children with more joyful thoughts every time they were missing Our Big Guy, it would not be healthy. Sometimes you just have to be with them in their grief and guide them to identify, claim, and share what they are feeling. This will look different for each child depending upon emotional maturity. Having these discussions openly and with objectivity has served us well in encouraging the children to do the same in lieu of suffering alone in silence. This display of reassurance has been the most important for children of all ages in our family as not only did Potato and Oggie (the baby) lose a cherished brother, but my siblings’ kids lost a treasured cousin. They all have better days when we as parents are mindful enough to proactively check in with extra daily hugs, cuddles, and bouts of playfulness. Once I recognized and corrected the need for me to be present for the children who were left behind I recognized that active listening was not enough and I needed to be emotionally available as well. You don’t have to say a word, just be vigilant for moments of internal distress and know that frustration and behaviors are a request for you to be your most empathetic self. Stay tuned for part 2 of 3 in this blog series when I will share Stephen’s and my experience in supporting each other through all of our placement losses thus far on our fostering journey. I would also like to encourage everyone reading this to comment their thoughts/suggestions and engage in discussion as you never know how impactful something you have to say could be for a family in need of healing.